"Jennifer was very professional and I would use her again!" "Excellent service with great communication! I would highly recommend Jennifer Andrews to my family & friends!" "This was our 3rd or 4th transaction and we met Jennifer and were very impressed with her willingness to help and sincerity. Highly recommend." "Jennifer did a great job for our family. She always kept us informed and got the job done. Highly recommend!" "My husband and I had used RE/Max before so we knew how well they put their heart and soul into selling our home. Jennifer did a great job and always kept us informed and sold our house quickly." "I was very satisfied with the sell of my lot. I would recommend Jennifer again. She did a great job?" "Jennifer's service was excellent and I was very satisfied. I've sold more than 3 homes and I would recommend her. I was referred by a neighbor!!!" "Jennifer was honest, knowledgeable and a great adviser." "Overall very satisfied and would recommend Jennifer again!" "Very Satisfied. Used RE/MAX before and would recommend again." "Very friendly & knowledgeable agent. She is extremely easy to work with as she was always professional, available and kept me informed on all matters. Jennifer's personality is always upbeat, making it a pleasure in selling my home. So grateful!" "Jennifer did a great job especially with a difficult situation. I would and will recommend Jennifer!" "Would recommend RE/MAX By The Bay and Jennifer!" "We met Mrs. Andrews by chance and so glad we did. She is clearly very knowledgeable and could not have made the home buying experience any better. Excellent!" "A people person! Well organized and knowledgeable. We wish she was our agent back in Iowa"
"Very satisfied overall. Jennifer was very professional and very knowledgeable. She always handled every question and issue promptly. A joy to work with"
"Jennifer did a great job for us considering we were in Ohio most of the time. We could count on her to keep our home ready to show at all times. RE/MAX is so lucky to have Jennifer"
"Jennifer knew what I was looking for and as soon as the property was listed she immediately contacted me and set up appointment to view. Honesty on what we viewed was validating and helped me make decisions"
"Jennifer was everything we needed in a Realtor throughout our experience. She was professional at all times, honest and extermely knowledgeable. We would recommend Jennifer to anyone needing a Realtor"
"We had concerns about our choice and tons of questions. Jennifer worked with us and seller to make certain we were well informed and satisfied the entire process. She was diligent to the end!!" "Jennifer was great! Kept me informed and was very helpful in guiding me through each step along the way." "As always, Jennifer makes the process less stressful! She is one of the BEST!" "Great service! We knew step by step what was going on." "If you are looking for a smart, knowledgeable realtor, call Jennifer Andrews- She is AWESOME- she helped us with all the ends & outs of making a offer, financing, and with closing- She went over every detail of the offer, explaining everything we didn't understand. Jennifer is a very educated young lady when it comes to REAL ESTATE." "If you are looking for someone that will handle your sell or purchase look no further. Absolutely money well spent!" "Jennifer Andrews is knowledgeable about real estate. She does her research in the area where you are selling and helps you to determine a fair price. She is very professional in dealing with buyer and seller. "Jennifer represented our family in the sale of a new construction home in Daphne. She was an advocate for us during the entire process. We were most impressed with her responsiveness to all our calls, texts and emails. Jennifer was able to negotiate on our behalf a final survey on the property - which revealed that we had more yard than what the builder initially installed. We have already been referring Jennifer to our friends and family. Thank you, Jennifer!" "Pleasant, professional and helped to make the entire process go smoothly and painlessly. Had good suggestions and referrals for things such as mortgage brokers, home inspectors, etc. Was always available for questions and for multiple showings of selected home." "Jennifer recently helped us sell a home with acreage. She is very knowledgeable and pays attention to every detail whether large or small. Thanks to her help, we closed in less than 30 days from the date of listing." "We had an offer the same day we listed and had countered and had a signed contract on the second day as well as a alternate offer from a different buyer if we could not agree with terms from first offer. From listing to closing was approximately thirty days. I would recommend Jennifer to anyone wanting to buy or sell Real Estate." "Jennifer did a great job in helping us find the right house. She was very knowledgeable about the area and surrounding areas. Which was very helpful since we had only been in the area twice before. During the period from the offer to the close, both Jennifer and Amy helped keep the bank and title company on track. Five star experience! Thanks!" 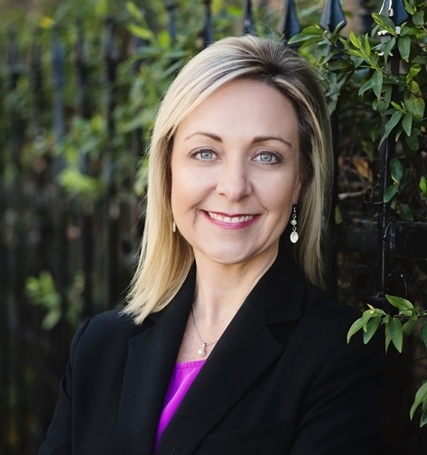 "If you are buying or selling in Baldwin County, do not look any further than Jennifer. I had several questions during the purchase of my home. Jennifer went beyond just a simple answer and arranged for experts in construction, finance, and even contacted a cable rep to find out if Uverse was available. Many people claim to go above and beyond the scope of their job title. I witnessed it first hand with Jennifer. She has a tremendous knowledge of all aspects of real estate and she will be my only call if I am in the market to buy or sell in Baldwin County." "WORKING WITH JENNIFER WAS VERY EASY AND WAS DEFINITELY A PLEASANT EXPERIENCE. JENNIFER IS VERY KNOWLEDGEABLE AND HARD WORKING AND I KNEW EVERY STEP OF THE WAY WHICH WAS IMPRESSIVE. I WILL MOST CERTAINLY REFER ANYONE I KNOW LOOKING TO BUY OR SELL." "Jennifer was extremely knowledgeable and no nonsense. Her expertise was phenomenal! I will and would recommend her to anyone and everyone I know! Absolute pleasure working with her! Jennifer had our home listed for 23 days and had 18 showings! Contract was negotiated perfectly!" "ennifer is one of the most thorough and reliable real estate agents I have ever worked with. She followed through with everything promised through the entire selling process. From start to finish I never had to worry that things were taken care of. She worked diligently through the contract process to ensure I was getting the best offer possible. After the contract was signed, she coordinated every single contractor who needed access to the house to repair items noted in the inspection. She communicated with me almost on a daily basis to keep me in the loop on everything. Every single document I had to sign was done electronically, which made the process so much easier and quicker. I would highly recommend her for any real estate needs you have. She was a true pleasure to work with!" "The day I first meet Jennifer, she showed my wife and me a listing of her own. It was close to what we were looking for but not exactly. Jennifer quickly learned just what we wanted of our new home and she lead us on a search that spread all over the county. We did not reach our goal that first day but it was clear that Jennifer was determined to assist us in any way she could and as long as it might take to find the perfect home. Several showings and many phone conversation later, with Jennifer still leading the way, we found just the right home in just the right place. Jennifer's knowledge and experience were great assets in the search but were even more important and invaluable during the contract and closing phases of the purchase. We made a super deal! It was a pleasure to work with her. "I could not have asked for a more attentive and knowledgeable agent. Jennifer helped us through a very stressful transaction. Without her experience, our dream home could have not become a reality." She is great in her work, she have a lot of experience and gave us a lot of great ideas that combine with her expertise help us sell our home fast." "Absolutely awesome realtor!! Listened to everything I wanted. She found me the PERFECT house. She was very patient and helped me get everything I wanted and more. I highly recommend Jennifer if you are house hunting!! She knows the area and is great at helping the entire process go very smoothly, from start to finish."